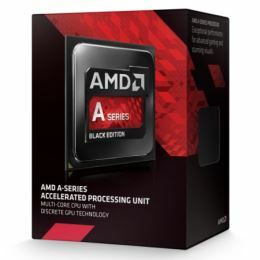 Introducing the AMD A10-7850K, AMD’s most advanced APU. So revolutionary, it challenges the very definition of a processor. With 12 Compute Cores (4 CPU + 8 GPU) featuring AMD Radeon R7 Graphics and exclusive features like AMD TrueAudio Technology for immersive audio, it can take on Battlefield 4 or just about anything else you throw at it.